​​Choose one of the below options for your group. All prices listed below are per planter created (unless otherwise specified). 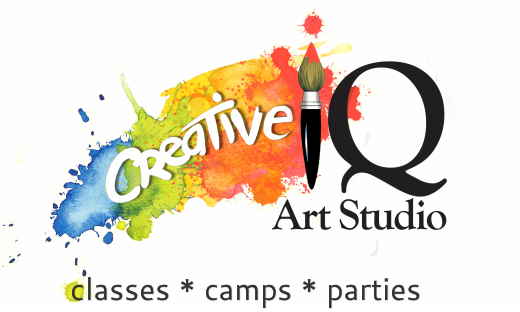 ​Includes all supplies and 2 professional instructors. Minimum of 10 planters required for events hosted at Creative IQ. Includes a variety of Glass Vessels, Milk Glass Succulent Planters and Hanging Glass Ball Terrarium options for guests to choose from! 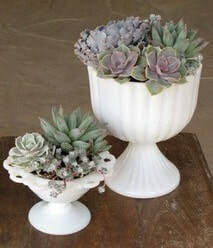 Glass vessels can be adorned with layered ornamental sand, rock, reindeer moss, small to medium sized succulents and small air plants (tillandsia). Two professional floral arts instructors lead and assist your group. Minimum of 10 planters required. All supplies included. Includes everything in the regular combo package, plus: additional planter options (the 10” Wreath, 10” Dream Catcher and a variety of Wooden Box Planters); a wide variety of small to large sized succulents and air plants; 4 instructors to assist; and guests have the option of reserving their planter choice(s) online ahead of time! Minimum of 10 planters required. All supplies included.